Tuning in to other way round. Unable to listen my own sound. Just go and leave is the desire left. All the valuables gone to theft. Heart attacked and soul dismantled. Life left me in a path scattered. During the course of day and night. Often I had a bloody fight. Welcoming the challenges with open heart. Never realized of broken heart. The present scenario is not so good. I need to convert bad to good. I tune in to other way round. I am unable to listen my own sound. Hello everyone. Hope you all are doing good. I am sure most of you have already decided about the new year resolution and if not then no need to worry as I am with you as I too have not yet decided the same. 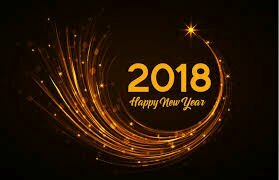 Do help me in making some resolution in new year as every year I think to make but I always end up without having new year resolution. This time I have decided to make a new year resolution and my resolution is that I will make some resolution this year. 😛 Even I am not sure whether I will be able to make or not. Share your new year resolution.